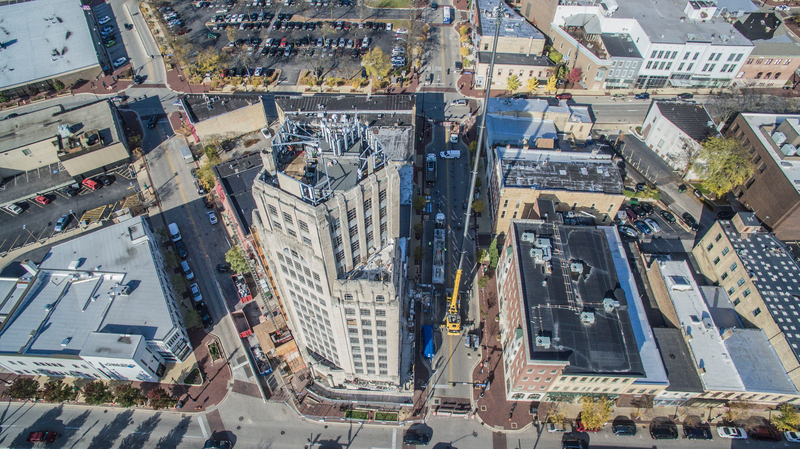 The recent rehabilitation of the Tower Building in Elgin is being recognized with “one of the most prestigious preservation awards in the state,” as one Elgin historic preservation planner put it. The 1929, 15-story former office building at 100 E. Chicago St. reopened in late January after being converted into 44 apartments. It is the recipient of the 2018 Landmark Illinois Richard H. Driehaus Foundation preservation award for adaptive use. The awards ceremony is Sept. 15 in Chicago. City staff members submitted the nomination recognizing developer Capstone Development Group and architect Webster Design, both of St. Louis, and Skender Construction of Chicago, historic preservation planner Christen Sundquist told the city council Wednesday.